In a recent survey Techlicious co-authored with Sprint, we found that 34% of people run out of data every month, which means a lot of people are on the wrong cell phone plan. Frankly, that's not a surprise. The demand for data is skyrocketing due to increased streaming video and music consumption, especially among the youngest smartphone owners. Today, the average smartphone owner uses 2.9GB of data every month, according to NPD Group, up from 1.8GB in 2014. So how much data can you and your family expect to use? Are there ways to minimize data consumption? 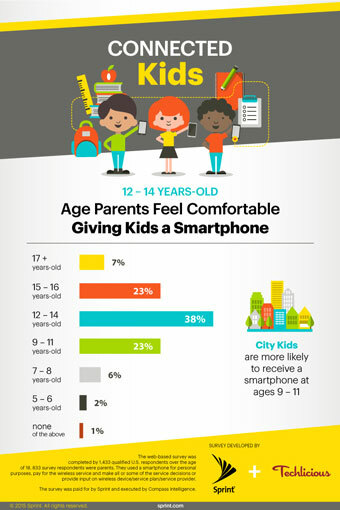 How can you afford smartphones for the members of your family? Are you on the right cell phone plan? Most cell phone plans today offer unlimited text and talk, with the amount of data you get being the differentiating factor. We tell you how to properly determine your family's data needs. Are you afraid of switching carriers? We go through the most common misperceptions and tell you how you can easily make the change. What should you consider when adding kids to a plan? We walk you through a range of parental control options, from limiting screen time, preventing calls and texts late at night and curbing distracted driving. During our chat we'll be giving four winners their choice of an Apple iPhone 6 ($650), Apple iPhone 6 Plus ($750), Samsung Galaxy S6 ($552) or Samsung Galaxy S6 edge ($672) from Sprint. Plus, one grand prize winner will be able to choose a family pack of 4 phones (value of up to $3,000)! Use the widget below for your chance to win! To be eligible to win you must enter through the widget and participate in the Twitter party using #RightPlan. Tell your friends for extra chances! We will randomly select five (5) winners from the entries. No purchase is necessary to win. Void where prohibited. U.S. residents 18+ only. Device giveaways start at 9:15PM ET, with the final giveaway at 9:55. Enter by 9:10PM ET to be eligible for all giveaways. Giveaways end 9/2/15 at 9:55pm ET. Click here for the full rules.